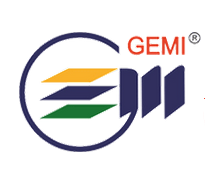 Gujarat Environment Management Institute (GEMI) has published an Advertisement for below mentioned Posts 2019. Educational qualification, age limit, selection process, application fee and how to apply are given below. M.Sc. in Life Science/ Environment Science/ Zoology /Microbiology/Biotechnology with first class. Or B.SC in Life Science/ Environment Science/ Zoology /Microbiology/Biotechnology with first class and at least one year of Experience. Candidates having exposure to work on Micro-Macroinvertebrates in water are encouraged to apply. Duration: Initial appointment will be for ONE year, extendable up to 3 years till the project completes, whichever is earlier, which is solely based on performance. How to Apply: Interested candidates are requested to submit a detailed CV to by post addressed to Dr Nitasha Khatri, PI Gujarat Environment Management Institute, Block 13, Third Floor, Dr Jivraj Mehta Bhavan, Old Sachivalaya Sector 10 B, Gandhinagar and via e-mail/link projectassistant.gemi@gmail.com with subject line “Application for Project Assistant for SERB Project” latest by 21st February , 2019 till 6:00 PM. CV should include details of academic grades starting from 12th standard onwards with details of year of passing, university or college, etc and also work experience and nature of work if applicable. Complete details of NET such as year of passing/validity, discipline, marks, All India Rank and number of candidates appeared should be mentioned in the CV. Incomplete applications will be rejected. Only shortlisted candidates will be called for interview. Shortlisted candidates will be intimated by e-mail informing date of interview. No TA/DA will be paid for appearing in the interview.